The ABC’s of Easy Dental Cabinet Care is a complete guide to keeping any laminated surface attractive and new looking. Everyday cleaning of your product is as simple as a quick wipe with a damp sponge. All laminates resist coffee spills and much more. Be sure to read and follow the recommended care and cleaning procedures. Use a damp cloth or sponge and a mild soap or detergent. Difficult stains such as coffee or tea can be removed using a mild household cleaner/detergent and a soft bristled brush, repeating as necessary. For every stubborn stain, make a paste of baking soda with water and apply with a 3M-bristled sponge. Light scrubbing for 10 to 20 strokes should remove most stains. Although baking soda is a low abrasive, excessive scrubbing or exerting too much force could damage the decorative surface, especially if it has a glossy finish. 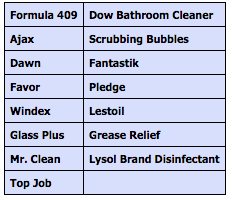 Always rinse laminated surfaces after cleaning! Failure to rinse after cleaning is the single greatest cause of damage to a laminate surface. If even a small amount of cleaning solution remains on the surface, moisture from cups or dishes can reactivate it and result in permanently-etched scars. Remember to use a cutting board if any use of a knife is necessary. Laminate may need occasional dusting depending on where it is used. To keep the surface beautiful use non-oily furniture spray such as Hopes Polish or Pledge (remember to clean the spray off several times a year to prevent buildup). Polish can also hide fine scratches in the surface. 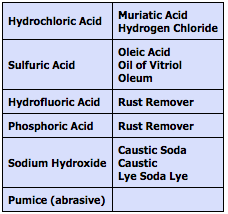 Acidic or abrasive cleaners can damage laminate surfaces so do not use them in your dental cabinet care process.. Drain cleaners containing lye will permanently damage any laminate surface. If you spill a drain cleaner, wipe it up immediately and rinse several times with warm water. Hair, textile and food dyes can cause permanent stains. If dye should happen to spill wipe it up immediately with dishwashing detergent or all purpose cleaner. Rust removers contain harsh chemicals, which will quickly cause permanent damage. If a spill occurs, wipe all of residue immediately, wash thoroughly with soapy water and rinse several times. Steel wool and other abrasive pads will damage laminate. Don’t use them for cleaning and do not store steel wool pads on your countertop; the metal can rust and leave stains. All of our stainless steal sinks are fabricated of nickel bearing Stainless Steel, which with the proper care and maintenance will not rust under normal household conditions. From past experience, we have found that the most common cause of surface rust is the use of rubber plastic dish mats in the sink compartment. The mat restricts the oxygen supply to the surface of the metal and maintains moisture, which eventually dries to a rust spot. Other common causes of surface rusting are the use of steel wool soap pads or where you have a water condition with a very high iron content. In the case of the steel wool pads, particles adhere to the sink surface and rust over a period of time. Where there are high iron contents in the water the residue which dries over the sink surface turns to a rust color and gives the appearance of the sink rusting. Another common cause of surface rusting is chlorides being left on the sink surface. Chlorides are found in all of today’s detergents, soaps and cleaners. To protect the sinks finish, we suggest the sink be drained, rinsed and wiped dry at the end of the day. Never allow concentrated liquid detergents to remain on the stainless steel surface. Ideally, once a week the sink should be scoured with a mildly abrasive cleanser, such as Bar Keeper’s Friend, ZUD or Comet, along with a Scotch-Brite fiber scrubbing pad. Make sure to rub back and forth in the direction of the sinks grain lines. After scouring, the sink must be rinsed thoroughly and towel dried. Following these steps will help remove and stubborn stains, discoloration, spotting, etc. and will ensure that the finish remains bright and sanitary. We hope this information will be helpful in maintaining your sink. Please contact ILS directly if you need further assistance.